For a point in time I was addicted to buying discount vouchers. I bought them for workshops, restaurants, hotel stays, spas etc. The very first one that I redeemed was a sauna and massage package and that was a disaster. In light of that, I’ve been a lot more careful about what I commit myself to. 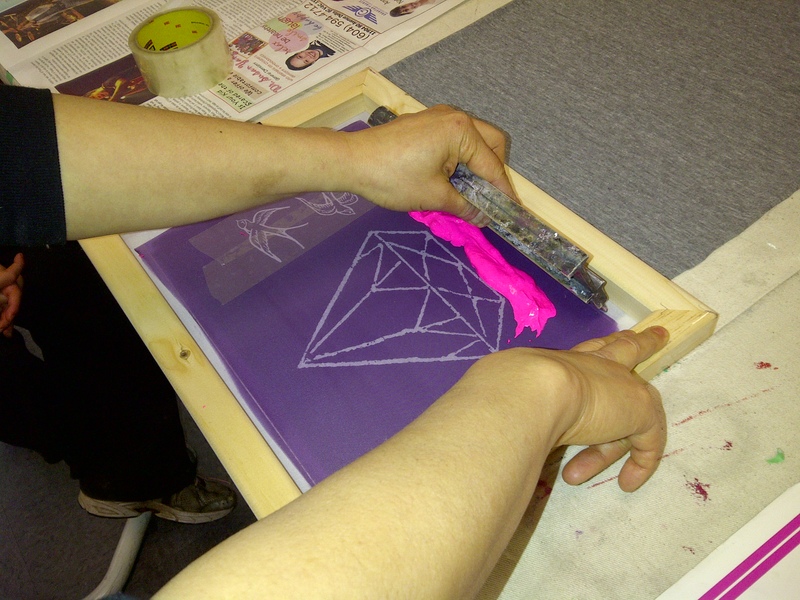 I found a Social Shopper voucher for a screen printing workshop at Blim in Vancouver. Last week I finally got around to booking it to keep myself occupied because the husband is away. I took myself for dinner at Acme Cafe (did you know I write for What’s for Lunch BC, too? 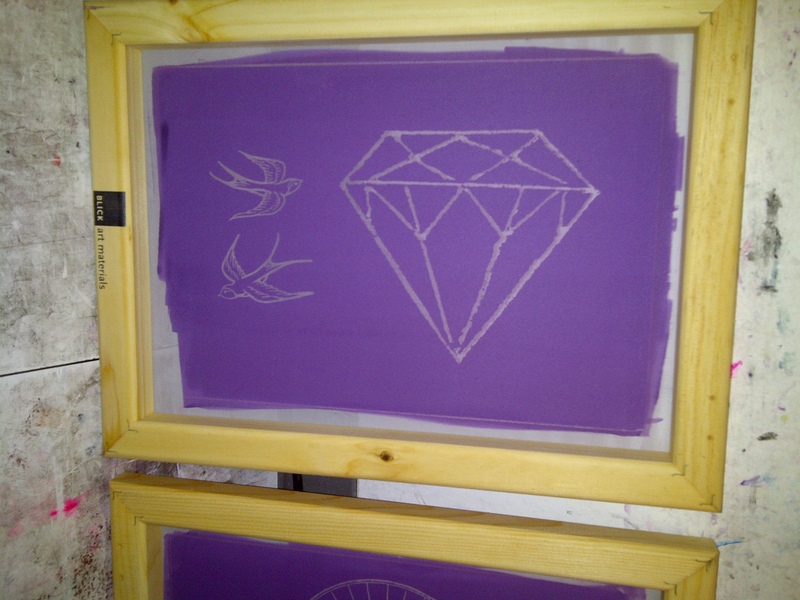 Check it out) and attended Level 1 Screen Printing and it was AWESOME! I want to screen print everything. My particular class had 3 other adults and 4 kids in it. The kids were really distracting and sometimes a little harrowing as I tried to protect my own work from their messy hands. Did you know that Blim also offers a children’s workshop? We watched a home made instructional video which was followed by a live demo. 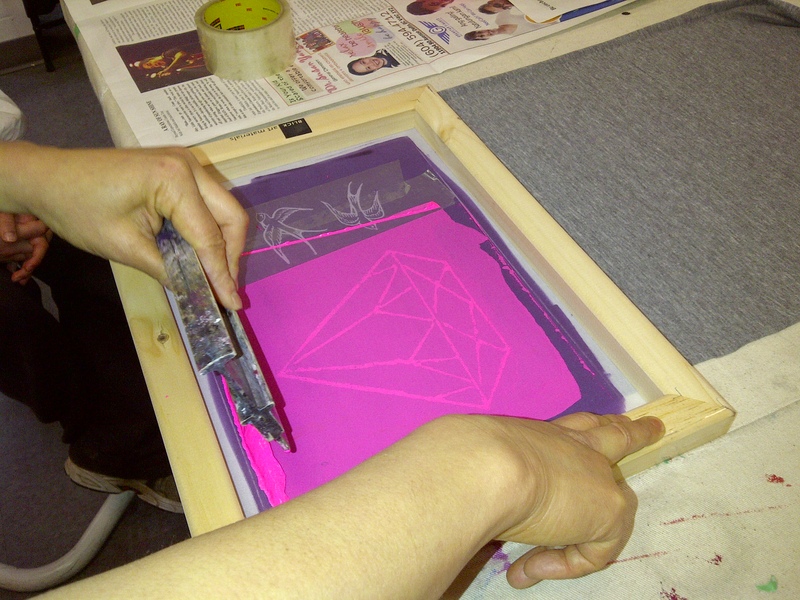 There is nothing high-tech about the process except for the emulsion and burning process. My image was printed on a transparency sheet, laid on the screen under a sheet of glass and suntanned under a 1,000 watt lightbulb for 6 minutes. I washed my screen in a water bath and voila! My image appeared on the screen. Neato. I used super colour, which is more like paint, since my scarf was a little darker, rather than the water-based dyes. The process is easy enough- put paint along the top and use a squeegee to distribute it. It’s a process to change colours because you have to wash and air dry your screen each time. I staggered my image and used three different colours and I really like the look. 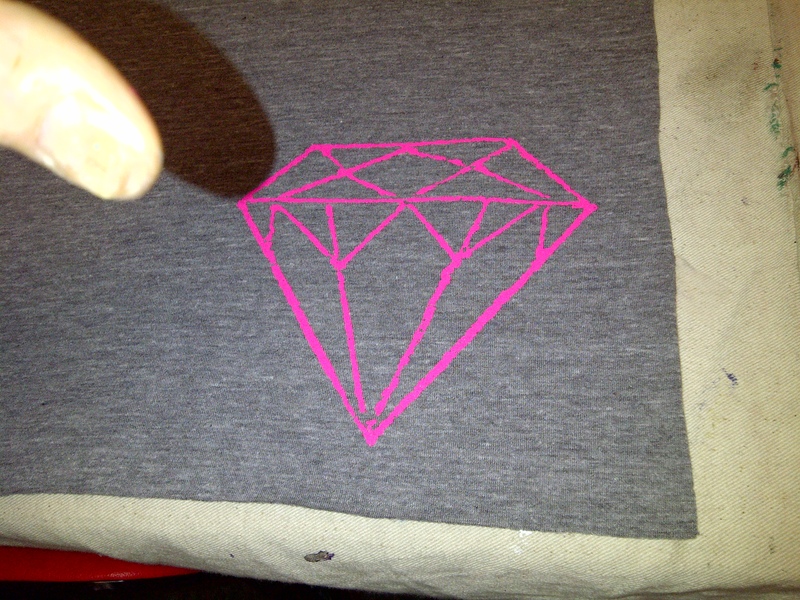 The first print, yep it's a diamond. Diamonds are a girl's bestfriend! A big thank you to Yuriko at Blim for being ever so patient!